Mapped By What Surrounded Them: Jam of the Day: NAVVI - "What Reason Do We Need?" Jam of the Day: NAVVI - "What Reason Do We Need?" 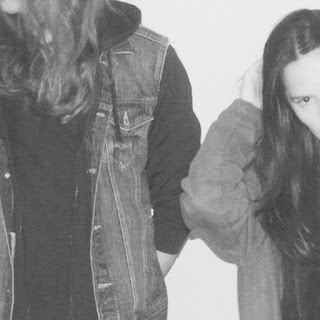 Gorgeous, ethereal track from Seattle duo NAVVI. Jam of the Day: Tegan & Sara - "U-Turn"
Jam of the Day: MRGD - "Skin Deep"
Jam of the Day: Wild Beasts - "Get My Bang"
Jam of the Day: Clams Casino - "Blast"
Jam of the Day: SZA - "Two AM"
Jam of the Day: Ariana Grande - "Into You"
Jam of the Day: LUH - "Lost Under Heaven"
Jam of the Day: Róisín Murphy - "Ten Miles High"
Jam of the Day: Young Magic - "Lucien"
Jam of the Day: ANOHNI - "4 Degrees"
Jam of the Day: Radiohead - "Daydreaming"
Jam of the Day: James Blake - "Radio Silence"
Jam of the Day: Radiohead - "Burn the Witch"
Jam of the Day: Flume ft. Tove Lo - "Say It"